The tennis regionals on September 28 were described as historical by Tennis Center Manager and Head Tennis Coach Malik Tabet. This year was the first time that the University of Indianapolis tennis team won both singles and doubles, in both genders at the regionals. To prepare to get to regionals though, junior Hanna Volikova said that preparation for the season started over the summer. 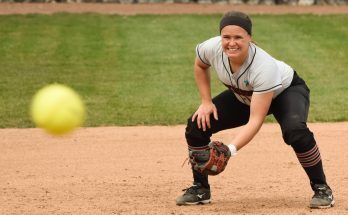 Outside of her job and internship, her spare time consisted of doing exercises and practicing to get ready for the season. This was Volikova’s third year winning the regional championship in singles. According to Volikova her experience at regionals was great due to the fact she felt very comfortable with herself on the court. This year was senior Magnus Mueller’s first time competing in the tennis regionals. He said he believes that conditioning his body prepared him the most for regionals. He said that it has been a pleasurable experience playing with this team throughout his tennis career. Overall, both Mueller and Volikova describe their time at regionals and winning as one of their favorite memories from the season so far. They are also keeping in mind things that not only they can improve on, but what the team can improve as a whole for the remainder of the season. According to Tabet, the struggles the team has had so far this year has to do with the mental aspect of the game. He said that some of the players this season have struggled with keeping a solid mindset throughout the whole match, especially when the player may lose a point. According to Mueller, the team works really well together which has helped out how much chemistry the team has.